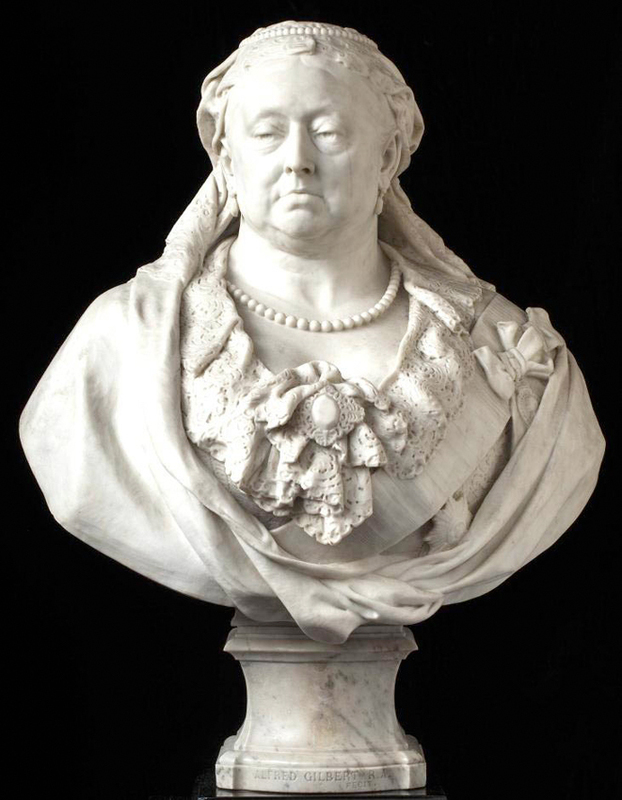 A marble sculpture of Queen Victoria by Sir Alfred Gilbert that has been saved for the nation after its acquisition by the Fitzwilliam Museum in Cambridge. The work had sold at a Sotheby’s auction in London to a New York museum but its export was blocked after it was deemed to fulfil all three of the Waverley criteria: being of outstanding aesthetic importance; being closely connected with British history and national life, and of outstanding significance for the study of art. The Fitzwilliam devoted the entirety of a recent bequest to the acquisition. The remaining shortfall was made up via gifts from individual benefactors and a grant of £267,600 from the National Heritage Memorial Fund (NHMF). 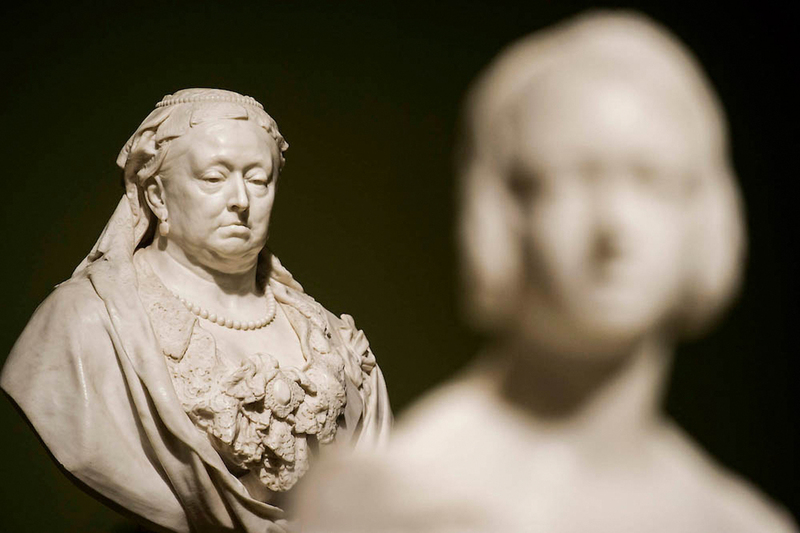 Unveiled at the museum today (June 20) on the181st anniversary of Queen Victoria’s accession, the sculpture represents the final acquisition made by former Fitzwilliam director Tim Knox, before his departure to become head of the Royal Collection. The sculpture was deem to be “outstanding aesthetic importance” and its export from the UK was blocked, allowing UK buyers the opportunity to acquire it. Gilbert’s marble sculptures are highly rare since he worked mostly in bronze, and this work is now the only example remaining in the UK. 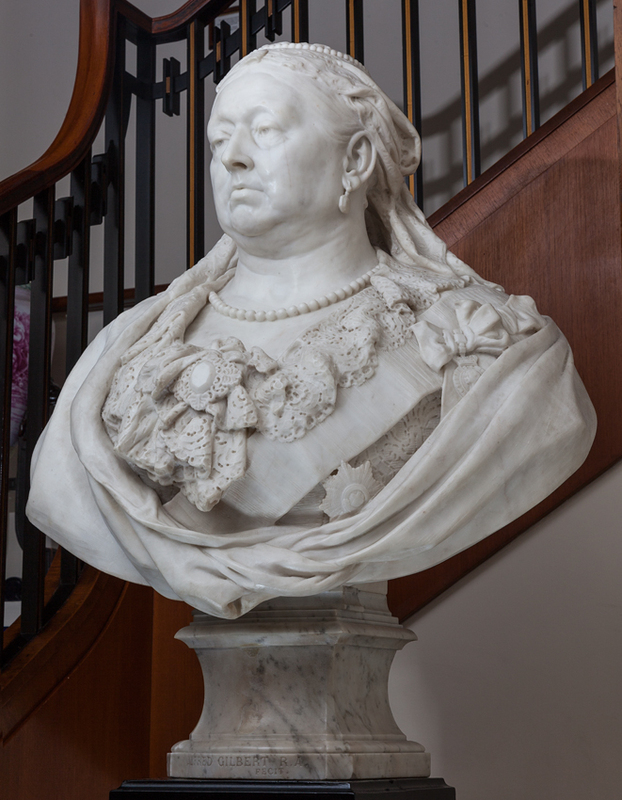 The bust was commissioned in 1887 by The Army and Navy Club to celebrate Queen Victoria’s Golden Jubilee and her return to public life after a period of prolonged mourning. When it was first exhibited it drew praise from Rodin no less, who described it as the best monumental figure in England. The carved bust depicts Victoria as an ageing widow in a lace shawl and with a sad and introverted expression. Unusually, the monarch is shown without her crown – Gilbert originally made a metal crown for the bust but decided against placing it on the figure (presumably on aesthetic grounds). He then never delivered the promised marble crown. The bust of Queen Victoria was carved between 1887-89, when Sir Alfred Gilbert was simultaneously working on his ‘Eros’ statue, now in London’s Picadilly Circus. Dealer Lowell Libson, a member of the government’s reviewing committee on the export of works of art, said: “Sir Alfred Gilbert, a leading but mercurial light in the British ‘New Sculpture’ movement, is now regarded as one of the greatest European sculptors of the period.